ProForm ZE5 elliptical offers a unique combination of innovative features and superior technology which results in an outstanding elliptical fitness solution. 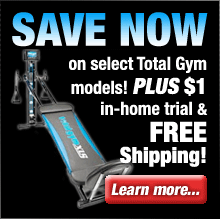 Get ready to train to perfection on the ProForm ZE5 Elliptical. Designed for superior performance, this elliptical features an adjustable stride length to work more muscles and get better results. It also features 16 built-in workouts and iFit Workout Card Technology to take the guesswork out of your workout, allowing you to see the results you want! The ProForm ZE5 is equipped with Dual-Grip EKG Heart Rate Monitors, a CoolAire Workout Fan and an LCD monitor to help enhance any workout. 16 Built-In Workouts: Get the workout you want with timed or weight-loss categories designed by Certified Personal Trainers. It’s easy to pick your workout and get going! iFit Workout Card Technology: Lose weight, feel great and improve performance in just 8 weeks with the interactive iFit Workout Card Technology! Each card is designed by a Certified Personal Trainer and plugs directly into the elliptical’s console and the voice of a personal trainer takes you through each workout. iFit Workout Cards are available in Weight Loss, Wellness, Circuit Training and Performance categories to give you the most advanced, interactive and result-specific fitness options. Upper-Body Workout: Burn more calories and add muscle tone with the upper-body arms that provide a great total-body workout and increased cardio benefits. Oversized Pedals: These large pedals allow you a number of different foot positions and provide great stability as you exercise. LCD Monitor: This display tracks your speed, time, distance, pulse and calories burned so you can monitor your progress throughout your workout and focus on getting the results that you want. 13 lb. Inertia Enhanced Flywheel: This high-quality flywheel delivers a smooth, natural feel every time you work out. 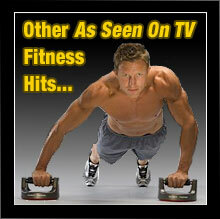 SpaceSaver Design: Fitness is about getting in shape, not getting in your way. This elliptical’s innovative pedals and base fold-up quickly and easily to save you nearly 3 feet of precious floor space. 1-12 Digital Resistance Levels: Instantly adjust your resistance at any time during your workout with the touch of a button. Select between 12 resistance levels for increased calorie burn and higher intensity. 13", 15", 18" Adjustable Stride Length: The ZE5 offers adjustable stride length to change the way your muscles work just enough to help you achieve greater muscle definition. It also allows you to reposition the stride for a better fit. Warranty: The ProForm ZE5 Elliptical is protected with a Lifetime Frame Warranty and 1-Year Parts and Labor Warranty. The ProForm ZE5 elliptical is an exceptional and full-featured exercise solution that is designed to provide you with a vigorous and superior quality workout. The ZE5 elliptical from ProForm will have you getting fit and dropping those extra pounds before you know it. If you’re serious about getting into shape and staying that way ProForm offers the answer you’ve been looking for. What are you waiting for? 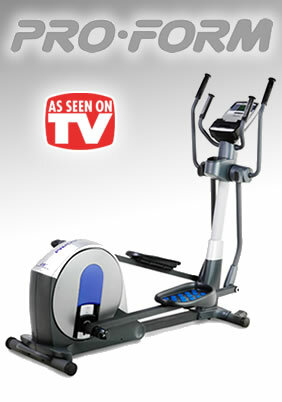 Order a ProForm ZE5 elliptical and get ready to get into the best shape of your life.